I know. 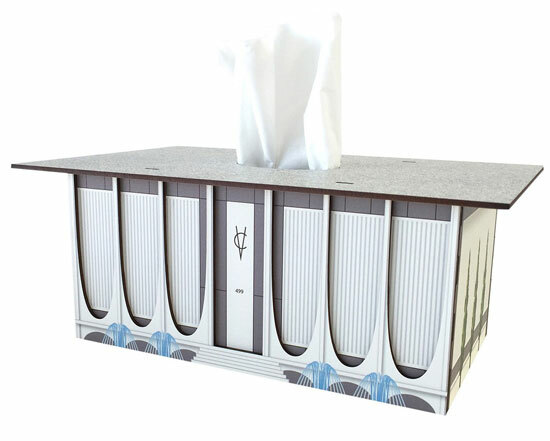 You want all of these midcentury modern house tissue boxes. I know I do. But they come at a cost. More on that in a moment. But for now, let’s admire these wonderful mini houses, which admittedly aren’t a substitute for a genuine midcentury modern property, but would look impressive in your house until that Lotto ticket comes through. You can take your pick from four designs currently, which are the ‘Butterfly House’, the ‘Coachella Valley’ house (which isn’t actually a house, it is based on the iconic bank in Palm Springs), the ‘Wedge House’ and the ‘Folded Plate Roof’ house. 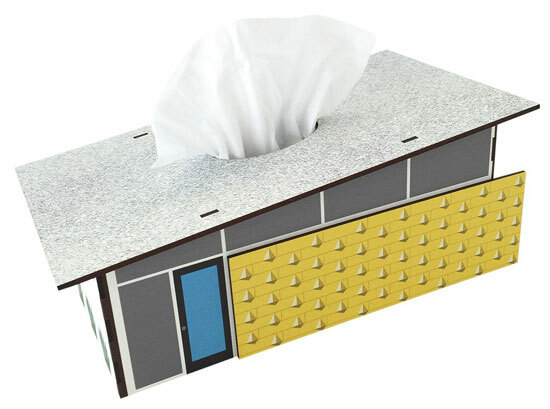 Four designs, all very desirable, especially if you have a cold and want somewhere stylish to hide your tissues. 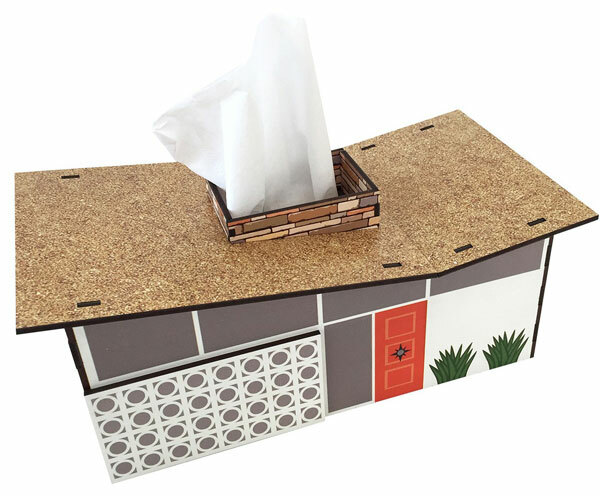 Each of the ‘houses’ is made in small numbers in California, constructed from MDF and designed to fit a standard rectangular tissue box. You know the ones I mean. Love how the tissues come through the chimney like a cloud of smoke too. If you want one, there are two issues. First off, you will need to order them from just the one retailer we have seen, based in Palm Springs in California. Also, some are temporarily out of stock and available to back order, a problem with production being in low numbers. Oh, there’s another thing too. You’ll have to find $75 for one or $300 for all four. 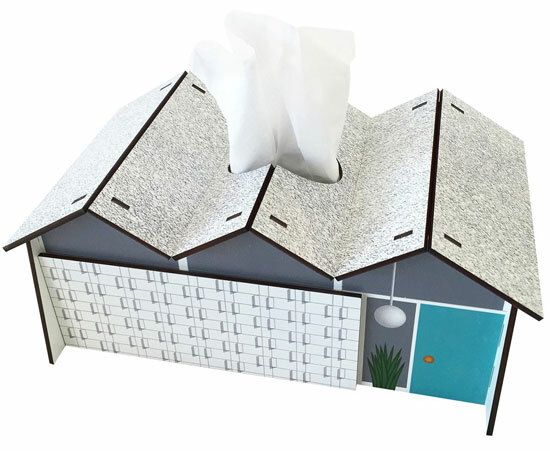 Cheaper than an actual house, but not cheap for a tissue box. Grab one at the Destination PSP website.